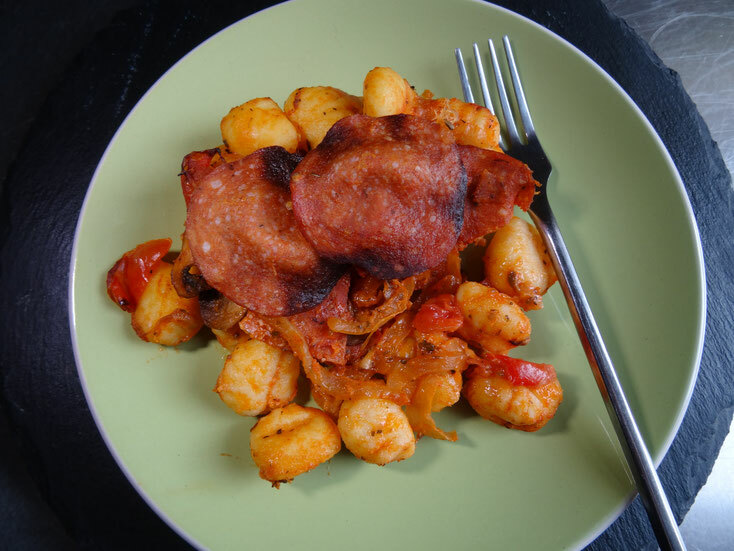 Lovely pillowy gnocchi with all the flavours of my favourite pizza toppings! Make it with your favourites! 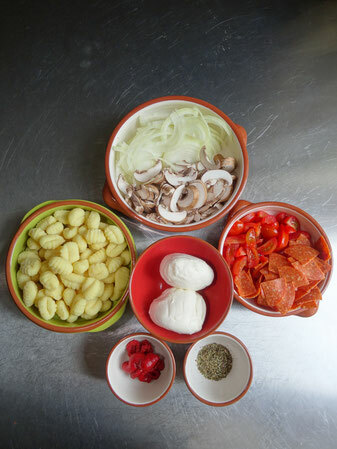 Cook the gnocchi in a large pan of boiling salted water for 2 minutes. Drain return to the pan & set aside with a lid on. Heat 1 tbsp of oil in a large frying pan over a medium heat. 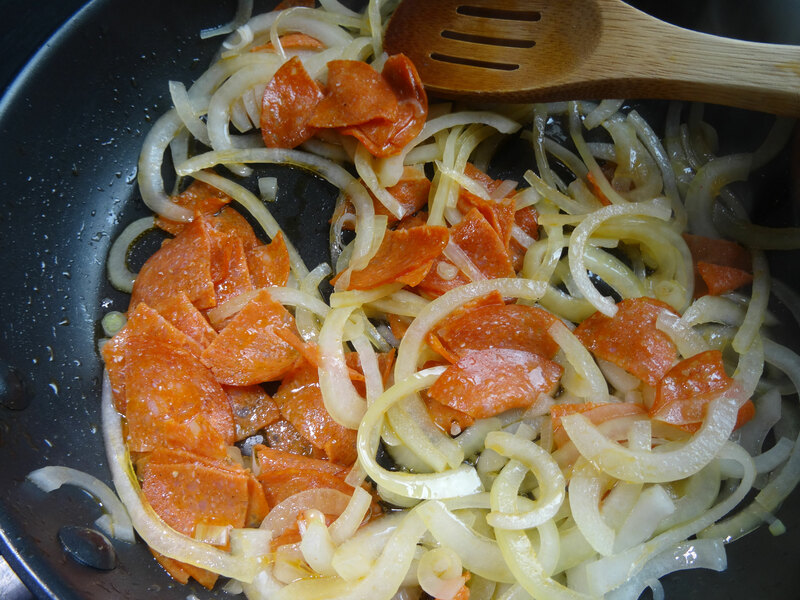 Cook the onions for 3 minutes before adding the pepperoni. 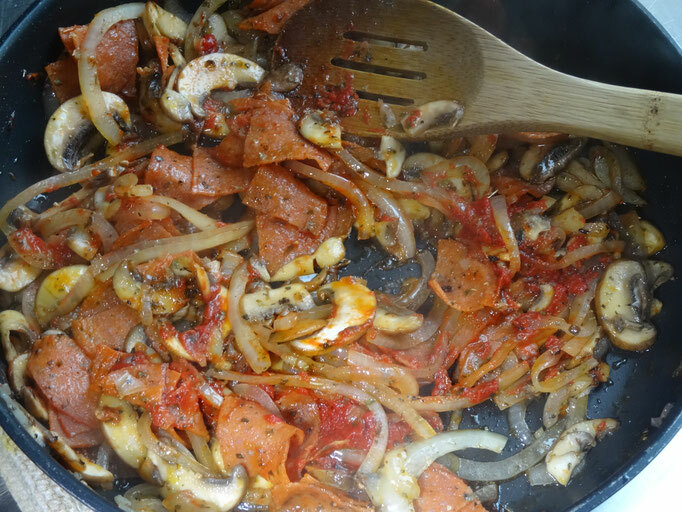 When the oil from the pepperoni starts to come out & turn the onion red add the mushrooms. Cook for another 2 minutes then stir in the tomato puree & oregano. 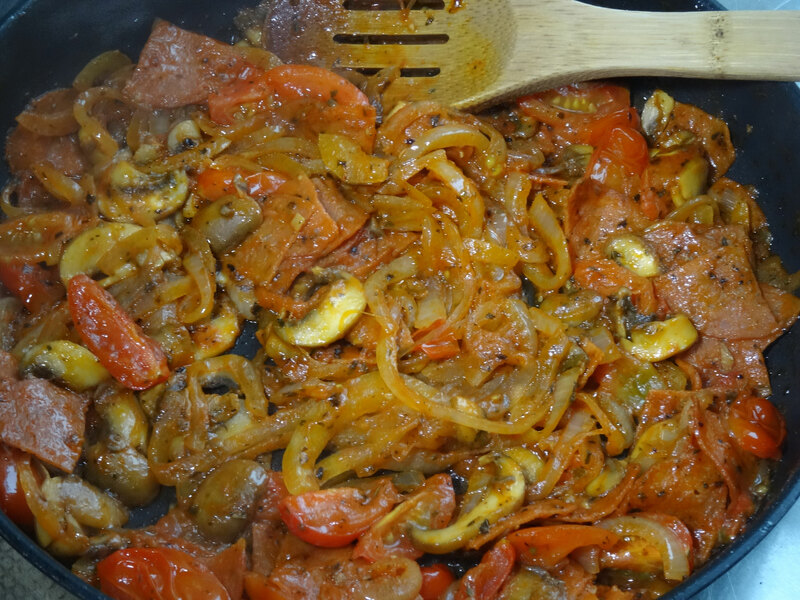 After about a minute tip in the cherry tomatoes & cook until they start to break down. Remove from the heat. Pre-heat the oven to 180Fan/200C/Gas 6. 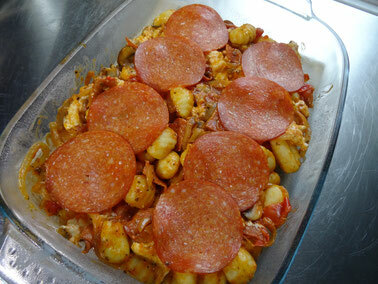 Add the pepperoni mix to the gnocchi in the saucepan & stir gently then tear up the mozzarella & add that. Stir gently again. Tip everything into a shallow, buttered baking dish & top with the reserved pepperoni slices. Place in the oven for 15 minutes & serve immediately.